Please mark your calendar. 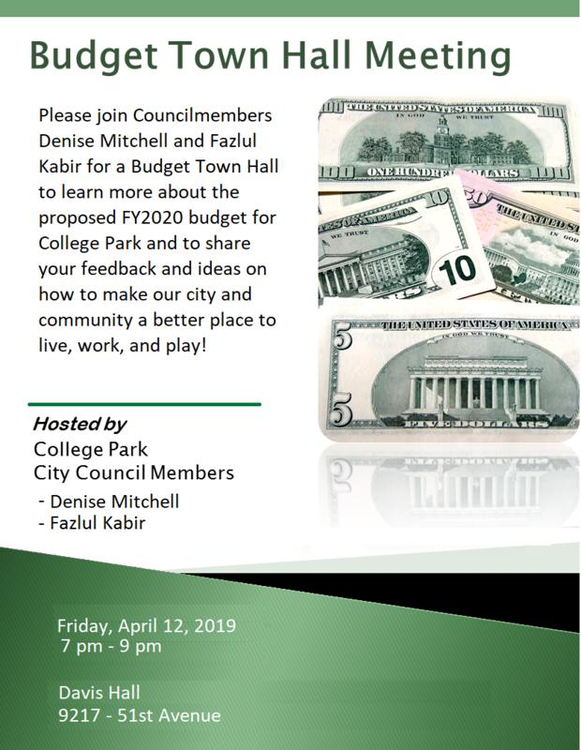 Please join me and Councilmember Denise Mitchell on April 12, 7 pm, at Davis Hall, for a Budget Town Hall to learn more about City’s proposed FY2020 budget and to share your feedback and ideas on how to make our city and community a better place to live, work, and play! Hope to see many of you.